You may already know that dairy can be the cause of eczema and skin issues. Did you also know that it is also one possible culprit of a weak + unhealthy digestive system? This can cause poor absorption of much need nutrients, constipation, bloating, and more. This intolerance or sensitivity is likely in relation to the lactose or casein (protein) in the dairy products. Is dairy adversely affecting you? The only way to know for sure is to remove it from your diet for a minimum of 2 weeks. So, I have a challenge for you…. eliminate dairy from your diet for 2 full weeks. This includes whey protein, yogurt, milk, and cheese. Let’s begin Monday December 7th. That way we’ll have our answers before Christmas. I know I know…that just sounds horrible! But think about it. It’s only 14 days. How bad can it be? You might just find that your body works more efficiently and feels healthier without it. Is your skin getting clearer? Do you have less mucus build-up? On day 15 – December 21st – eat dairy a couple times. Something like a yogurt and then some cheese or your dairy of choice. Notice how you feel 30 minutes, an hour, later that evening and even the next morning. Constipated? Diarrhea? Bloated? No noticeable adverse effects? Is dairy really the best source of calcium? What about protein? Why do we, as a society rely so heavily on dairy products? Is it natural for any other species to drink the milk of another species? When you start to remove dairy from your diet, you’ll notice how much dairy you actually eat. It is in so many of our staple foods. For me, it was helpful to start by reading labels to see where the hidden dairy was in my everyday food choices. Then I looked for replacements for the dairy. Here is what I found and enjoyed. 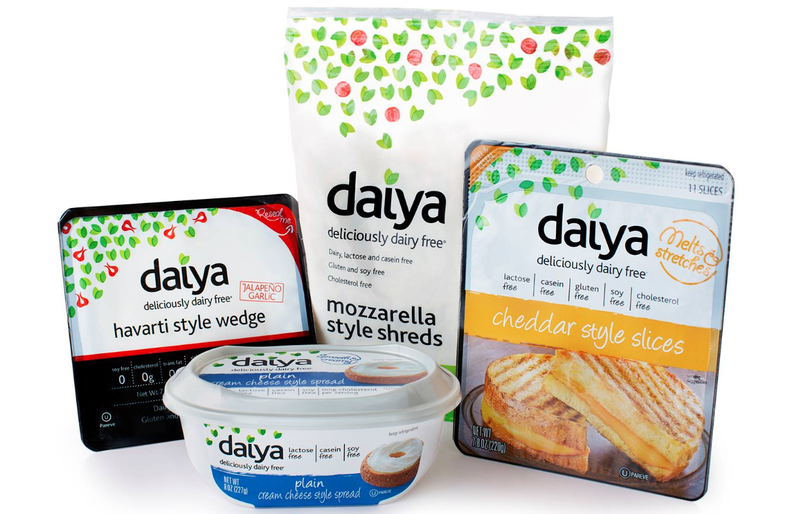 ~ Daiya cheese is a vegan and soy-free cheese that is good for home cooking, sandwiches, etc. It comes in shredded, block and sliced options. It melts too! ~ Use avocado for sandwiches, egg salad, or anywhere that creaminess is desired. Check out the health benefits too, by clicking here. 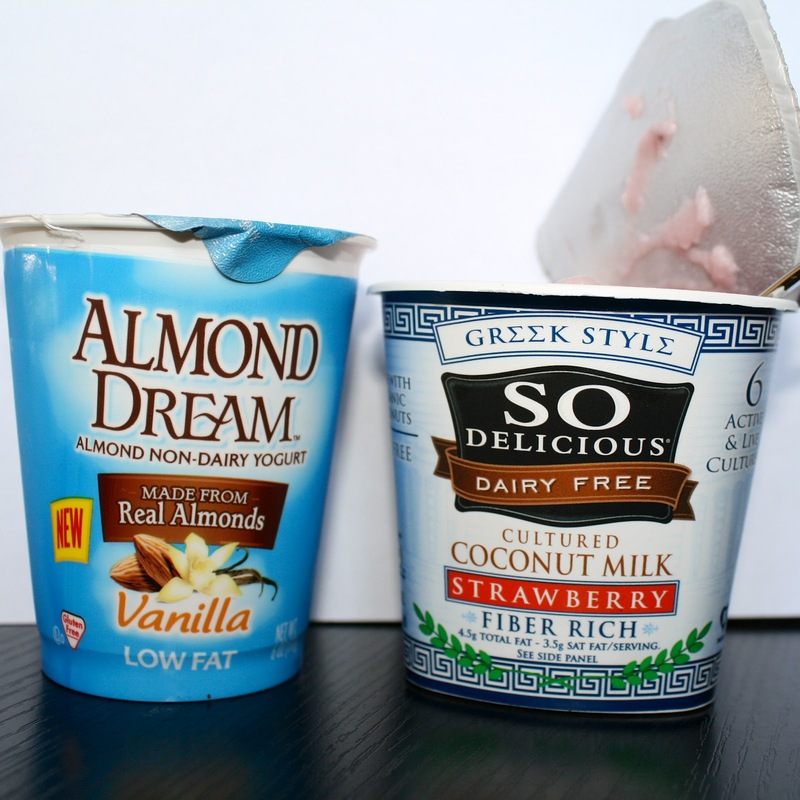 ~ Use almond or coconut milk versions of your favorite milk, creamer, yogurt and ice cream. 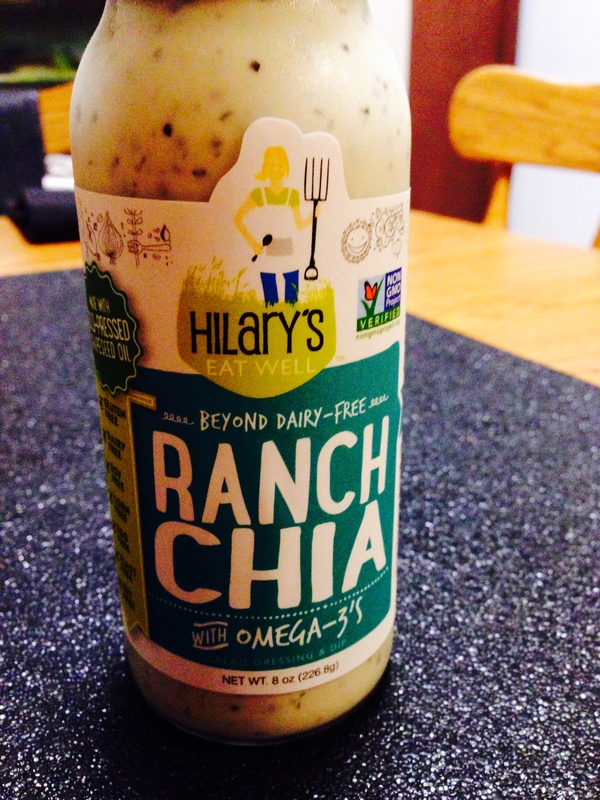 ~ And a tasty dairy-free ranch dressing by Hilary’s Eat Well – Ranch Chia. So, are you ready to give dairy-free a try? Let me know. Have questions? Please ask! rockwateryoga@gmail.com Type ‘Dairy Challenge’ in the subject line. Follow me on Instagram, post photos of your dairy-free meals and tag #rockwateryoga. For more about my wellness coaching, click here.